The Faber NSWKIT steel conversion posts have a 5 mm bottom thread and a 4 mm top thread to convert a guitar with a Nashville style bridge to an ABR-1 style bridge. The threaded top section enables you to install a Faber Tone Lock Bridge. 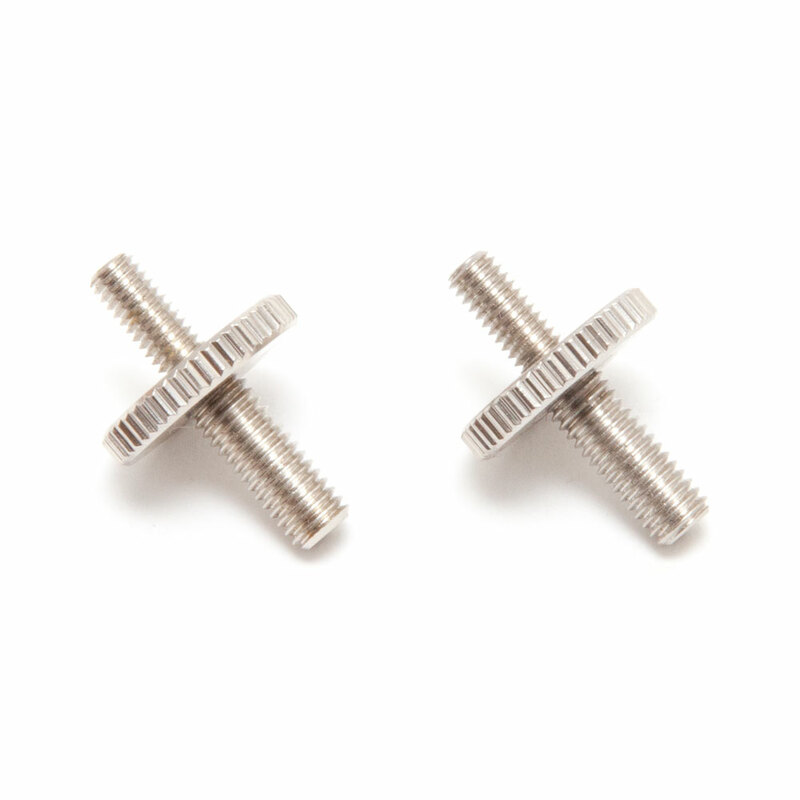 The 5 mm threaded section will screw directly in to metric Nashville body anchor studs used by Schaller and Gibson USA guitars (even though most measurements are imperial on USA models, the Nashville bridge posts are 5 mm metric). The posts feature built in height adjustment thumbwheels.